Many of us check our work emails, handle work-related documents, and sometimes even access our company network from home. 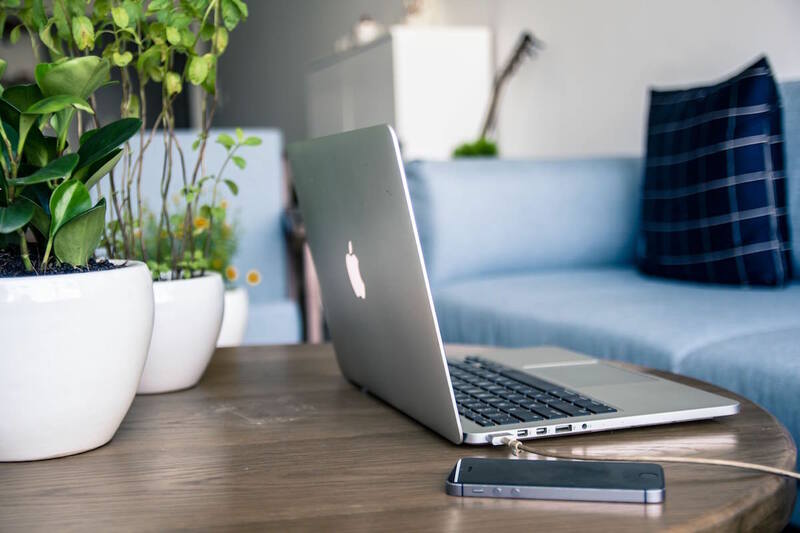 While we’ve discussed the growing importance of establishing a BYOD policy at the workplace, it’s equally important to set up a secure Wi-Fi connection at home to protect personal and company data. While most of us set it and forget it, your internet router is one of the most important devices in your home and requires periodic updates to maintain optimal security. Your router, in addition to other home devices that are connected to the internet like smart fridges, speakers, and thermostats, are all entry points for hackers to gain access to your online data. If you didn’t take the following steps to secure your network when you first set up your router (and there’s more to it than setting a strong password), it’s time to revisit the router and make some necessary updates. Your Wi-Fi network comes with a default name which you should change right away. The default name tells hackers what type of router you have, allowing them to exploit any known vulnerabilities and gain access to your network. You can have fun with your Wi-Fi name and make it something easy to remember but refrain from using personal information like your first or last name. You don’t want it to be easy for users to guess which network is yours. Your wireless router also comes with a default password which you should change as soon as the router is installed. If hackers know the type of router you have (the default network name gives that away) then they can often also guess the default password. Read our post on new password guidelines for tips on creating a strong password. Different types of security protocols, or encryption languages, protect your Wi-Fi network. When you first establish a connection with a Wi-Fi network you’re given the option of several security protocols, including WEP, WPA, and WPA2, and they are not all created equal. Choosing the right one can mean the difference between effectively protecting your data from hackers and opening up your network to malicious activity. WEP is the original encryption language for Wi-Fi networks but was retired in 2004 due to multiple security flaws. Even novice hackers can easily gain access to a WEP-protected network because the flaws are well known and easy to exploit. WEP basically just notifies other users that your network belongs to you but does nothing to stop them from accessing it. WPA is the updated version of WEP but still used some of the same elements which were eventually exploited. This version is also now outdated and doesn’t provide adequate protection. WPA2 or WPA2 AES are both the current standard security protocol for Wi-Fi networks. Nothing is ever 100% secure, so this encryption language does have its own vulnerabilities, but they’re of far less concern than past versions. WPA2’s primary vulnerability is only of real concern to enterprise level networks, not your home network, and it requires an expert to exploit that vulnerability. Follow these steps from LifeWire to enable WPA2 encryption on your home router. You can make it harder for other internet users to see your network by simply placing your router away from windows, near the center of your house. This will also provide equal internet access to all rooms in your home and any extra layers of protection (e.g. walls and furniture) will make it harder for malicious users to see and gain access to your network. Some routers allow you to access the network remotely which means you can connect to the network from a distant location that’s out of range. (Typically a Wi-Fi network only extends within a set radius such as within the confines of your office or home.) While remote access is helpful if, for instance, you need to access your network when you’re away on vacation, it’s usually not necessary for your home system. With remote access disabled, malicious actors can only access your network from a connected device. Like your computer, routers also require periodic updates. Newer routers often have the option to set up auto updates but some require you to perform updates manually. Updating your router to the latest software will ensure you have all the latest security patches in place to protect your network from new ransomware attacks and other viruses. We often focus all our efforts on securing the company network and neglect to take the necessary precautions at home as well. Neglecting your home network security could put you at risk of a data breach that could affect both you and your business, so take the steps now to protect yourself in the future.